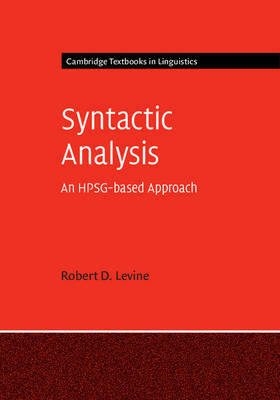 In syntactic analysis, as in linguistics generally, the skills required to first identify, and then make sense of, complex patterns in linguistic data involve a certain specific kind of reasoning, where various alternatives are entertained and modified in light of progressively broader empirical coverage. Rather than focus on transmitting the details of complex theoretical superstructures, this textbook takes a practical, analytical approach, starting from a small set of powerful analytic tools, applied first to simple phenomena and then to the passive, complement and raising/control constructions. The analytic tools are then applied to unbounded dependencies, via detailed argumentation. What emerges is that syntactic structure, and intricate networks of dependencies linking different parts of those structures, are straightforward projections of lexical valence, in tandem with very general rules regulating the sharing of feature values. Featuring integrated exercises and problems throughout each chapter, this book equips students with the analytical tools for recognizing and assessing linguistic patterns.